So how are portable electronic devices, the chosen technology of today’s kids and teens—a generation I call “iGen”—any different? It almost goes without saying that today’s portable devices—including smartphones and tablets—are fundamentally different than the living room television sets and rotary phones of the past. Since researchers have been tracking TV watching habits, the average U.S. teen has never spent more than two-and-a-half hours a day watching TV. Yet as of 2016, the average teen spent about six hours a day immersed in digital media—more than twice as much time. This large amount of time spent using digital media is enough to crowd out time once spent on other activities, such as interacting with friends face to face, reading, or going out. 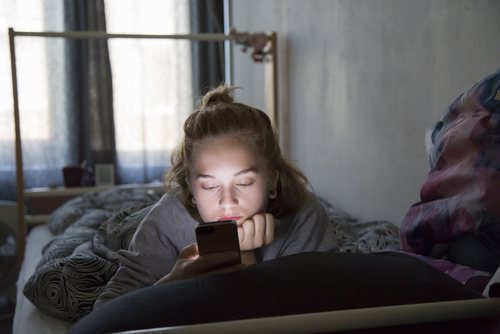 Across many studies, kids and teens who spend more time with screens—including both TV and portable devices—also sleep less. Drawing from a large survey of parents administered by the U.S. Census Bureau, we found that 2- to 10-year-olds who spent four or more hours a day on portable electronic devices—versus no time—were twice as likely to be significantly sleep deprived. TV time was also connected to less sleep, but not as strongly or consistently. 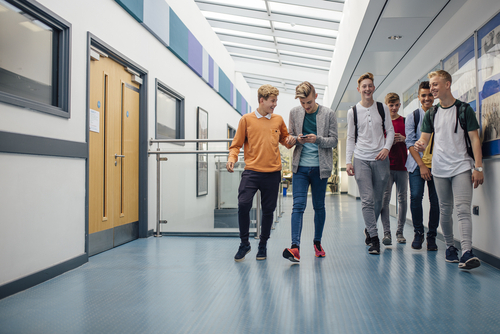 Among teens ages 14 to 17, those who spent four or more hours a day on portable electronic devices—versus no time—were 44 percent more likely to not sleep enough. However, once portable device time was statistically controlled, watching TV or playing video games on a console had little link to sleep time. That might explain why sleep deprivation among teens spiked after 2012—just as smartphone use became common. To be clear, we did find that watching many hours of TV was associated with less sleep, especially among elementary-school-age children. Watching over three hours a day of TV is also associated with depression– though more weakly than portable device use. So what is a parent—or anyone who wants to sleep well—to do? First, it’s best for smartphones and tablets to stay out of the bedroom after “lights-out” time. Nor is it a great idea to use the devices within an hour of bedtime, as their blue light influences the brain’s ability to produce melatonin. Finally, as a general rule, two hours a day or less spent on portable devices is a good guideline. These rules apply to parents, too—not only kids. Jean Twenge is a professor of psychology at San Diego State University. This article was first published on The Conversation.